However much we marvel at “these new-fangled special effects,” sometimes they can get in the way of actually enjoying a film. You know it’s true, so let’s take a look at how CGI is ruining your favorite movies. Jurassic Park‘s graphics stand the test of time. That film was released in 1993. Yet films from the early 2000s don’t look anywhere near as good. A notable example is The Mummy Returns, a movie which should’ve been good, but instead suffered from a very unconvincing CGI The Rock (or Dwayne Johnson, if you’re under the age of 30). Here are some of the ways computer-generated imagery (CGI) is destroying the movie experience for a whole generation of people, and what you can do to stop this disaster from happening. Do you think I’m being over-dramatic? However, that same anticlimactic feeling lives on whenever we watch unconvincing scenes. Bad CGI removes us from the movie. We know Godzilla’s not real, but as The X-Files says, we want to believe. And anything that breaks that illusion makes the whole thing disappointing and jarring. Die Another Day: We’re calling this a damp squib because it’s about water and we’re trying to make this section even more cringe-worthy. Basically, Pierce Brosnan plays James Bond as he’s copy-and-pasted onto a tsunami swelling across glaciers. H2O has never seemed more realistic, apart from in every other movie ever. The Matrix Reloaded: Keanu Reeves goes face-to-face with Hugo Weaving in this video game foota – – wait. No, sorry, this was actually in the 2003 film. The pair are rendered so badly, it makes Sylvester Stallone look almost realistic by comparison. Scooby-Doo: Where did it all go wrong for this 2002 film, based on the highly-popular cartoon of the same name? Many would no doubt scream “SCRAPPY-DOO” continuously for three hours (certainly Tim Curry would. He was offered a main role, but turned it down after hearing this pesky little stray would be involved. Mr Bean got the part instead). But was anyone really convinced by Scooby himself? Or those monster things that didn’t even turn out to be Old Man Jenkins? It should have been more like Who Framed Roger Rabbit?. Star Wars: Episode IV A New Hope: What is this sacrilege?! Oh, put the pitchforks down. We only mean the so-called “Special Edition” released for the 20th anniversary which shoe-horned in a scene with a young Jabba the Hutt threatening Han Solo. Surely Harrison Ford could have rustled up a more accurate Jabba using some MDF. Sometimes, you realize there’s a great story being told in a film; other times, you’ve accidentally put Transformers on. You can occasionally see past CGI, whether it’s dodgy or fantastic. Then it largely depends on the story. Style over substance The Terminator Genisys Movie Review for Geeks... Arnie Is Back, Unfortunately The Terminator Genisys Movie Review for Geeks... Arnie Is Back, Unfortunately Is Terminator Genisys worth watching? Read our spoiler-free review below to find out. Spoiler alert: Arnie is back, but he probably should have stayed away from this mess. Read More , in other words. For good and bad examples, we need only turn to the work of James Cameron. Titanic (1997) had heart and spirit, as well as hugely impressive visual effects. Maybe this stemmed from Cameron’s fascination and in-depth knowledge of the subject matter: that enthusiasm and realism translated to the screen. After the hours he spent dedicated to exploring these lost lives, he wanted to do them all justice. Pale imitations wouldn’t cut it, certainly considering that these are real people and the true events are so well-known anyway. Avatar (2009), however, looked stunning, but only had enough storyline for a 21-minute episode. It should’ve been the most expensive TV series, and the plot we were presented with would fill the pilot quite nicely. CGI should be there to enhance a narrative, not try to distract you from it or paper over a lackluster tale. All too often, the audience is underestimated: the filmmakers figuring that if they make something look pretty, the general public won’t notice the distinct lack of incident. A controversial thinking perpetuated by a 2015 video from StoryBrain is that CGI is just too good now, but it favors beauty over believability. And yeah, you can see it. Deadpool’s comment about superhero landings is testament to this. Fabric doesn’t tear, people don’t get their insides scrambled, and landscapes always look gorgeous with no traces of bird poo on cars, inappropriately-placed pylons, or bulky Ikea stores. You can forgive some of this. Directors want a film to look as good as it possibly can, and so do movie-goers, but some things are unforgivable. Some directors makes things try to look so good, they end up looking bad. Lack of gravity is one of these things. You have to suspend your disbelief to a certain degree, but a few basic laws of physics still have to apply for us to invest in a world. Pan (2015), the latest effort to create a film franchise out of the boy who never grows up, asked us to believe in Neverland and all the beautiful impossibilities that entails. We’ve done so for years. Disney’s 1953 Peter Pan proved that such an environment wasn’t restricted solely to our imaginations. Pan was incredibly selective when it came to CGI, however – so much so that it received a nomination for Outstanding Achievement in Visual Effects at the Australian Academy of Cinema and Television Arts Awards. A lot of it, despite general narrative problems, looked pretty great… but audiences couldn’t help but feel some detachment. I blame weightlessness. Peter can fly, okay? That’s a major theme of any interpretation, but here, he’s struggling to fulfill that expectation. But when every character is capable of defying gravity, what’s the point of Pan’s levity? It means there’s a lack of jeopardy and plausibility. While we’re on the theme of Disney, the vast majority of us grew up with films steeped in love. I mean, think of the man-hours that went into Pinocchio, The Lion King, and Mulan. Fantasia, the longest-running animated feature from the studio, is a whole different kettle of fish. Since Toy Story in 1995, Pixar Animation Studios became a subsidiary of Walt Disney Studios, and actual 2D animations have become few and far between. In fact, the last one was 2011’s Winnie the Pooh and before that, 2009’s The Princess and the Frog. While there’s nothing wrong with Wreck-It-Ralph, Frozen, or Big Hero 6 (which is particularly wonderful), there’s something special about the old Disney animations. They hold a special place in many people’s hearts. It would be a great thing for film fanatics if there was a better mix of traditional animation and new CGI What Is CGI Animation? 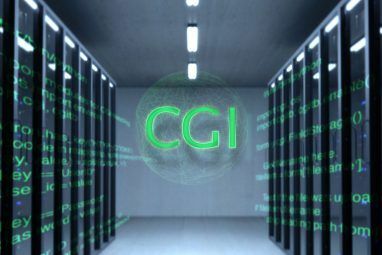 What Is CGI Animation? What is CGI animation and how have CGI technologies changed modern animation? Let's take a brief trip through the past to see. Read More ; sadly, the latter is less labor-intensive (far from easy or care-free, however) and still pulls in the big bucks. That means we’re unlikely to get a proper animation anytime soon. And that’s a massive shame for viewers of all ages. Remember a time when tales weren’t bogged down by CGI. Revisit something from when you were younger. 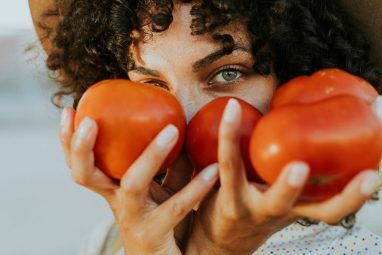 Nostalgia can be a wonderful thing 7 Websites For Sharing Your Nostalgic Memories Of Days Gone By 7 Websites For Sharing Your Nostalgic Memories Of Days Gone By Nostalgia may be bittersweet, but the mere thought of the past ties us all together socially. We share our best and worst memories. This is where the Web comes in as the great watering hole. Read More . Devote a small chunk of your time to investing in a solid story. 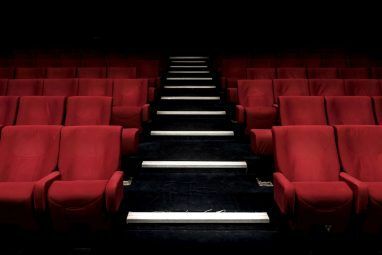 If you want solid storytelling with no CGI, consider going to the theater. It means you see some of the best acting, directing, design, and writing. You immediately get caught up in it. You get the opportunity to see work by William Shakespeare, Arthur Miller, or even George Bernard Shaw. Give it a go, and you’ll start seeing movies in a whole new light. For one, it helps you see past the wonky effects and through to the heart of the story. Either way, it hurts no one to support smaller productions 4 Blogs for Staying Updated on All Things Indie Film 4 Blogs for Staying Updated on All Things Indie Film If you're like me, you probably spend hours swimming through (and sometimes cringing at) all of the independent films on Netflix. Sometimes, you may even try to find some indie flicks online. However, one of... Read More , the ones that can’t afford flashy CGI but nonetheless promise outstanding performances. And look, we went all this time without even mentioning The Green Lantern! 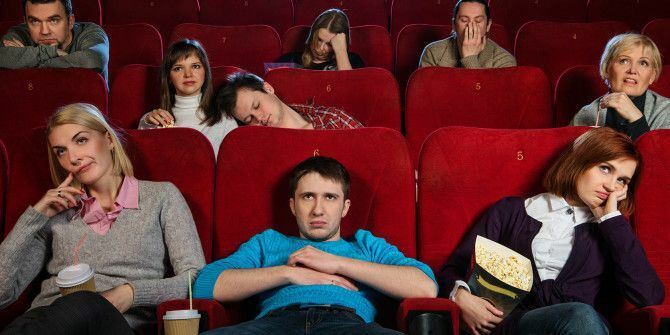 Image Credits: Boring people watching movie via Shutterstock. Explore more about: Computer Animation, Movie Review. 5 Sites and Apps to Find Movies & TV Shows to Watch on NetflixStar Wars: The Force Awakens… To Buy or Not to Buy? Special effects are being used to cover up, or distract viewers from, lousy acting and weak story lines.